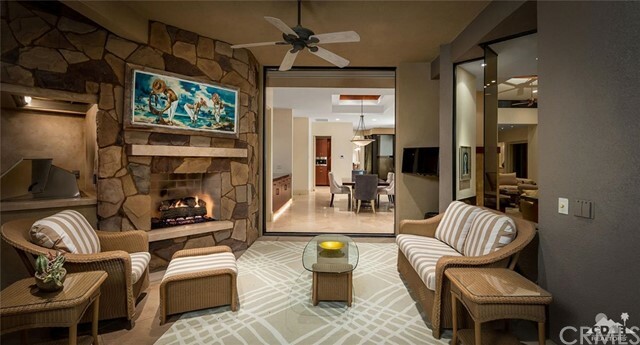 This custom residence offers elegance with a desert casual flair. Private gated courtyard with stacked stone and lush native landscape are the entry to this beautiful home. 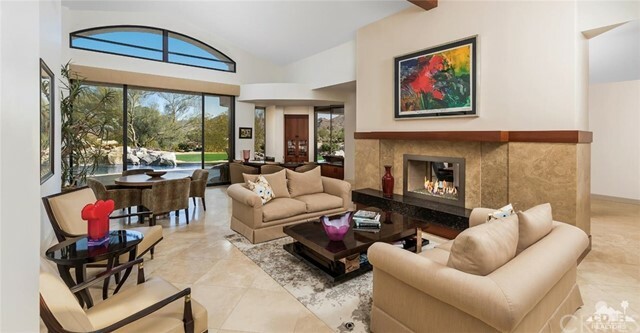 The living room offers inviting space with vaulted ceilings and clerestory windows. The sliding glass doors open to the outdoor living and provide views of the pool and golf course. The sit down wet bar also enjoys the views beyond while offering a casual spot for guests to gather. 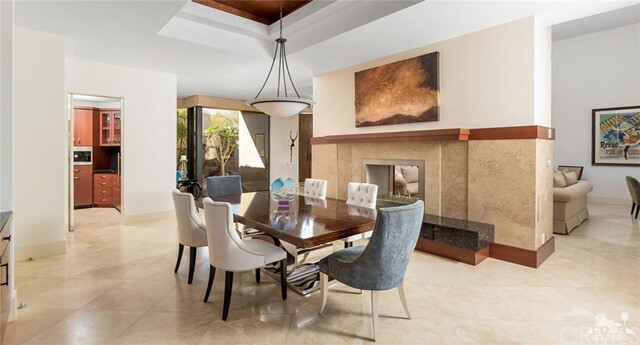 A double-sided granite fireplace floats between the living and dining room creating ambiance for an intimate area to enjoy meals. 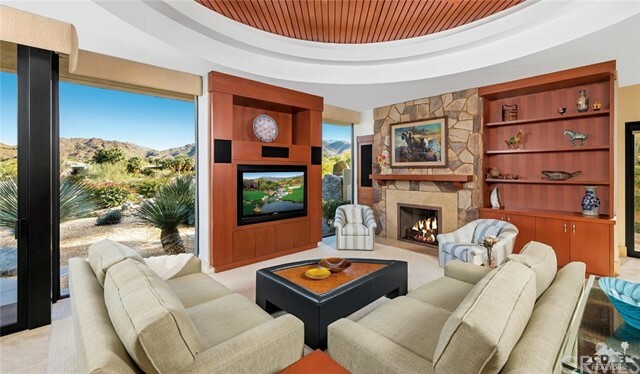 A separate family room offers comfortable seating, stacked stone fireplace, media center, morning room with sliding glass doors to the patio and fairway view. The family room is open to the high-performance kitchen providing a casual gathering place for family and friends. 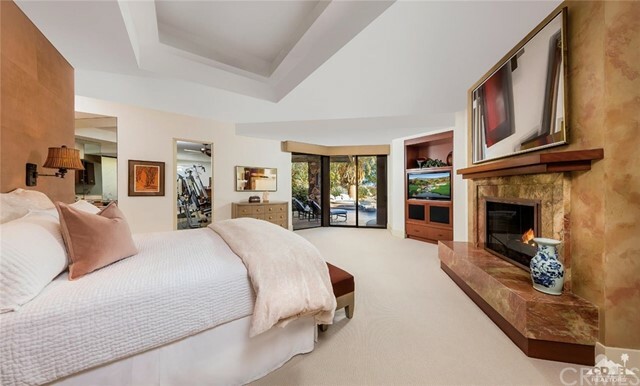 Master suite features granite fireplace, media center with access to pool, spa and amazing views. Three interior guest suites. 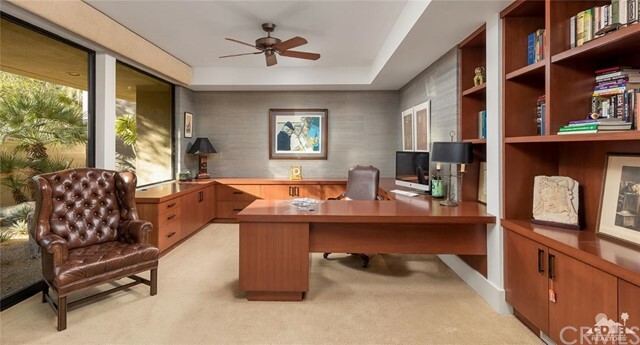 I would like more information regarding the property at 950 Andreas Canyon, Palm Desert CA 92260 - (MLS #2868179). Listing #219003739DA By Jacquie Burns, CalBRE#01185587, Bighorn Properties, Inc.